You've tasted Ballarat's gourmet pies all month, now find out who will be crowned the winner at the Pie and Beer Judging Spectacular which will take place on 31 July. Ballarat chef Peter Ford will be serving up five delcious gourment pies, carefully matched to five Coopers ales. Guest judges Richard Cornish from The Age and food journalist Suzi Fitzpatrick. Ex-North Melbourne footballer Anthony Stevens and TV personality Bree Laughlin will provide entertainment along with music by the 3Ds and footy on the big screen. Tickets are $35 with $5 from each ticket donated directly to the 3BA Christmas Appeal. Bookings can be made here. 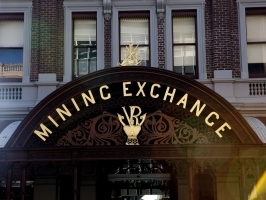 Find out which pie will be crowned the overall winner of Ballarat's Best Pie at the Mining Exchange on 31 July. Great article. Yum beers and pies. What a great combination. It sounds like a good way to spend the day, watching the competition then eating pie and drinking beer after the competition finishes.